Mary Elizabeth Jane Colter was born in 1869 in Pittsburgh Pennsylvania. Upon her father's death, she convinced her mother to send her to San Francisco to study architecture at the California School of Design. She then taught art, drafting, and architecture until in 1902, Minnie Harvey Huckel, recommended her to decorate the interior of the new Indian Building at the Alvarado Hotel, the Harvey House in Albuquerque. At the time, shoppers asked the clerk to see any goods they were interested in. Colter's revolutionary idea was to spread the crafts about the room for all to see, touch, and fondle. 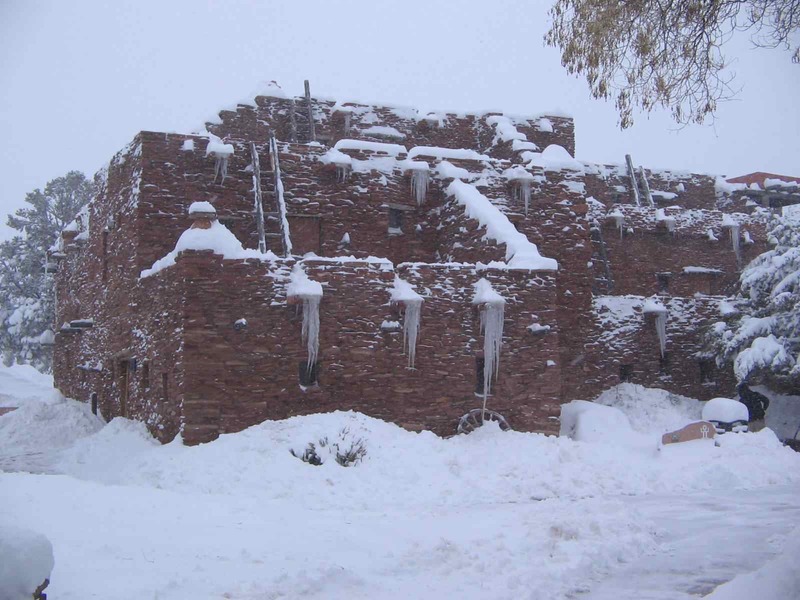 In 1905, she designed the Hopi House at the Grand Canyon. Up to this time, railroads usually built the tourist facilities in the National Parks, and they copied European designs. The El Tovar looks like a Norwegian hunting lodge. Colter said, no: let's make the buildings look like they belong in the southwest. The Park Service agreed with this idea, and thus was born "Park Rustic", the use of stone and weathered wood to build National Park facilities. Colter was a chain-smoking perfectionist. 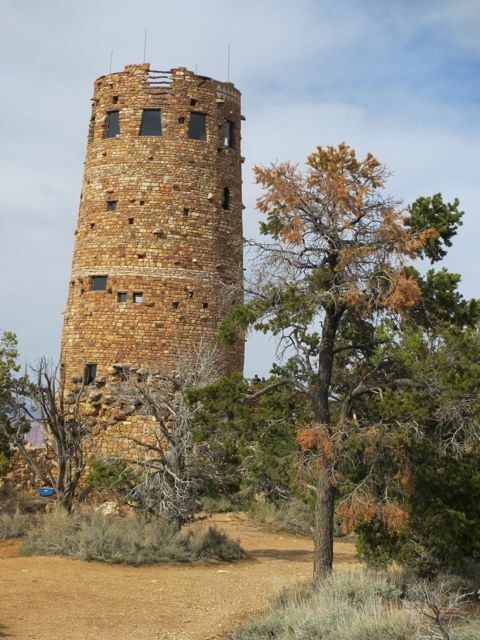 When building the Watchtower, which many consider her masterpiece, she spent weeks flying about the Southwest looking for ideas, then her personal driver took her to sites, then she built a clay model of her concept. She was not ready to build, however, until she erected a 70 foot tower on the prospective site to check out the view. When she left the construction site for a few days and her boys kept on working without her, she made them take all the work down when she got back. The rocks weren't exactly where they were supposed to be. Many of Colter's buildings have been torn down or renovated. In Grand Canyon National Park there are eight of her buildings and several of her art pieces. The largest Colter collection extant in the world. Visit the new Mary Colter Scavenger Hunt page. A Grand Canyon National Park podcast on Mary Colter. Berke, Arnold. Mary Colter: Architect of the Soutwest. Grattan, Virginia l. Mary Colter: Builder up on the Red Earth. Mary Jane Colter: House Made of Dawn. Karen A. Bartlett director Phoenix: KAET, 1997.